Meet the hard working staff of Huliauapa‘a. Born and raised in Kailua, O‘ahu Kelley traces her lineage to the ‘āina of Puna and Kohala, Hawai‘i Island and Kīpahulu and Haneo‘o, Maui. She graduated from Kamehameha Schools, Kapālama, then received her B.A. in Cultural Anthropology and Pacific Island Studies from UH Hilo. 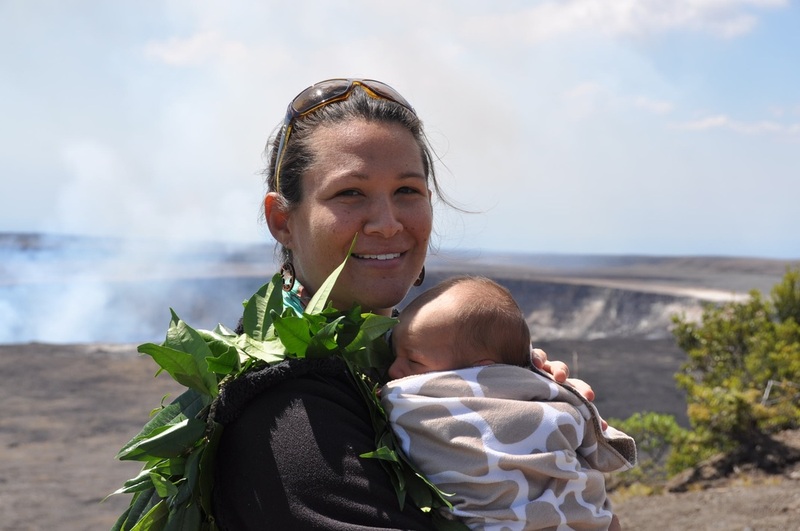 In 2009 she received her Masters in Applied Archaeology and a Graduate Certificate in Historic Preservation from the University of Hawai‘i at Mānoa. Kelley has worked for a number of Cultural Resource Management (CRM) companies on a variety of projects including cultural impact studies, archaeological surveys, collections management projects, and ethnohistorical studies. She developed the Wahi Kupuna Internship Program in 2010 and continues to serve as Program Director. In 2012 she developed Huliauapa‘a, a non-profit organization whose mission is to steward Hawai‘i's wahi kūpuna through educating students and empowering communities with the tools of Hawaiian CRM. Most recently, she created a Hawaiian owned and operated CRM firm, Nohopapa Hawai‘i, with her hoaaloha, Kekuewa Kikiloi. Kelley lives in Aotearoa with her kāne and two keiki. S.A. Leimomi (Momi) Wheeler was born and raised in Wahiawā, O‘ahu with ‘ohana lineage to the ‘āina of Kohala and Puna, Lononuiākea, as well as Makaweli, Kaua‘i, North Korea and Vermont. She received her B.S. in agriculture with a specialty in aquaculture from the University of Hawai‘i at Hilo. For the past nine years Momi has worked with a few Cultural Resource Management (CRM) companies and projects throughout the Hawaiian Islands, including preparation and write up of various types of cultural impact studies, archaeological reports, ethnographic research, cultural and archaeological monitoring, archaeological surveys, excavations, site recordation, mapping, laboratory analysis-curation, data entry, computer graphics and GPS technologies. Momi serves as a fiscal and administrative kāko‘o for Huliauapa‘a. She also works as an archaeologist and researcher for Nohopapa Hawai“i, LLC. Her expertise is in Hawaiian stream watersheds and ecosystems throughout the main Hawaiian Islands and a Kanaka Maoli cultural practitioner in the perpetuation of Aloha ‘Āina. Momi currently resides in the ahupua‘a of Kea‘au, Lononuiākea/Moku ‘O Keawe, Hawai‘i. Dominique Leu Cordy grew up all over O'ahu, in a perpetual field school led by her father Dr. Ross Cordy. She currently does free-lance research across the pae 'āina. Focusing on land in Hawai‘i, she specializes in archival research and GIS mapping. Her interest include historic maps, wahi pana, the ways lands have changed hands, value, and use since the overthrow, and how understanding the mo‘okū‘āuhau (genealogy) of ‘āina can help families retain their lands today. Dominique also has a background in Archaeology and field mapping and has been involved with four of the six Wahi Kupuna Internship Programs in that capacity. She received her B.A. in Cultural Anthropology from UC Davis and her M.A. in Pacific Island Studies from UH Mānoa. When she grows up she would like to be a botanist. Dominique lives on Kaua‘i with her kāne and their keiki. Kepo‘o Keli‘ipa‘akaua was born in Āliapa‘akai, O‘ahu and currently resides in Honouliuli. He graduated from Kamehameha Schools, Kapālama and received his B.A. in ‘Ike Hawai‘i and ‘Ōlelo Hawai‘i in 2015. Kepo‘o was an intern with the Ka‘alewaihili cohort of the 2014 Mālama ‘Āina field school in Wai‘āpuka, Kohala. Following his participation in the field school, Kepo‘o has been working as a researcher and field assistant on various Cultural Resource Management (CRM) projects in Ka‘ū, Papahānaumokuākea, Kūkaniloko, and Kawailoa, and has also been contracted to do Hawaiian Language translation work. He is currently pursuing an M.A. in ‘Ike Hawai‘i. His Masters thesis focuses on understanding ancestral Hawaiian relationships with groundwater in Waiawa, ‘Ewa, O‘ahu to guide modern methods of resource management. ​Halena Kapuni-Reynolds is currently a doctoral student in the Department of American Studies at the University of Hawai‘i at Manoa. He received his primary education at two Keaukaha-based charter schools (Ka ‘Umeke Ka‘eo and Ke Ana La‘ahana), followed by a B.A. in Anthropology and Hawaiian Studies from the University of Hawai‘i at Hilo. Later, he received his M.A. in Anthropology from the University of Denver, where he successfully defended his thesis, which focused on how Native Hawaiian and Local collections managers at two Hawai‘i-based institutions cared for ali‘i (Hawaiian chiefly) collections. As a former intern of the Wahi Kupuna Internship Program (2011), the Kamehameha Schools Collections Management Practicum (2012-2013), the National Park Service (2012-2013), the Smithsonian Institute for Museum Anthropology (2014), and a Native American Fellow under the Native American Fellowship Program at the Peabody Essex Museum, Halena brings with him a broad range of experiences in the fields of program evaluation, collections management, professional development, and museum-based research. Currently, he serves as one of the primary instructors of the Wahi Kupuna Internship Program, and assists staff in designing and implementing program/community evaluations.